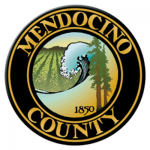 Get a Mendocino County Traffic Ticket? You Can Beat It! Did You Get a Ticket in Mendocino County, California? You can fight Mendocino traffic tickets by getting them dismissed much easier than you may think. In Mendocino, California, drivers are allowed to contest a traffic ticket using a Trial by Written Declaration. This is best way to fight a traffic ticket without going to an Mendocino courthouse or hiring an expensive Mendocino traffic ticket lawyer. We have found this to be the best way to contest a California traffic ticket, period. This option is available to every driver who receives a traffic ticket in Mendocino, California. In fact, if you turn over your traffic ticket you will see that a Trial by Written Declaration is listed right on the back of your ticket as one way to fight it. This process has been around since 1978 to avoid having to pay traffic ticket fines. TicketBust has been helping California drivers prepare Trial by Written Declaration’s for over 15 years. In fact, tens of thousands of vehicle tickets in California have been contested using our system. We are the original traffic ticket fighter and the TicketBust system has been developed specifically to prepare all your documents properly based on how you answer a few questions. This way you can fight your ticket, knowing you have maximized your chances of having the court dismiss your Mendocino County traffic ticket. When you contest a ticket using a Trial by Written Declaration not only don’t you need to go to court, but you don’t even need to take traffic school if the ticket is dismissed. If the ticket is dismissed, no point will appear on your driving record and the bail will be refunded to you in full. If the ticket is not dismissed and you are eligible for traffic school, then you should still be eligible after a Trial by Written Declaration. TicketBust service will prepare your full defense package for you, which includes your Trial by Written Declaration and all the defense documents required by Mendocino traffic court. Fill out the yellow form to fight your Mendocino traffic ticket now! Did you know that you aren’t allowed to pass the white limit line when you are stopped at an intersection? From our experience, this can be a common ticket issued in the county of Mendocino, so be on the lookout and stay behind that solid white line. If you find yourself having received a traffic ticket in Mendocino, give us a call or fill out our form to see how we can help! For thousands of years, Yuki, Pomo, and other Native Americans lived among Mendocino County’s forests, mountians, rivers and ocean. The county was formally established in February of 1850, deriving its name from Cape Mendocino which is located nearby in Humboldt County. Only nine years later, the systematic occupation of Native American lands and the enslavement and raids of their settlements lead to the Mendocino War in 1859. The Mendocino War lasted six months and killed an estimated 400 natives, capturing hundreds of others. By the end of the War, the population of Native Americans in the area had decreased by 80 percent. In 1885, Fort Bragg Redwood Company built the Fort Bragg Railroad to carry coast redwood logs 6.6 miles to a new lumber mill in Fort Bragg, California. Today, that same railroad is known as the California Western Railroad and has been nicknamed the “skunk train” due to the smell of the gas-powered, self-propelled passenger railcars added in 1925. The line now runs all the way from Fort Bragg to the interchange with the Northwestern Pacific Railroad at Willits. With the gold rush and the expansion of the railroads, Mendocino County experienced a population boom and is now home to over 88,000 residents residing within its 3,878 square miles. The county sits north of the San Francisco Bay and just west of the Central Valley. Its location along the coastline allows the growth for the state’s distinctive Redwood forests and for wine and microbrew production. The song “Mendocino” by The Sir Douglas Quintet was released in December of 1968 and reached number 27 on the U.S. Billboard Hot 100, spending 15 weeks on the charts. Less than a decade later “(Talk to Me of) Mendocino” by Kate McGarrigle debuted in 1975. The song reminisced of leaving the home state of New York to travel to the coast and see the redwoods in Mendocino with another and has been covered by Linda Ronstadt, John Howard, and Bette Midler.